Diverse and international, the Queens World Film Festival brings a world of perspectives to the Museum of the Moving Image and the historic Kaufman Astoria Studios. Running March 21 to the 31st, the Queens World Film Festival organizes its films into socially relevant blocks. This includes films on how the digital age affects daily live (Livescream), LGBTQ+ youth (Like Glass), diaspora (Faryad), animation (Equinox), and more. Artistic Director Don Cato ‎states that “We selected 200 incredible films from 31 nations with 16 world premieres and a groundbreaking 79 films by women. We are also screening 14 LGBTQ themed films, 15 films by Asian filmmakers and 11 films by kids for kids - we literally have something for everyone." Putting a spotlight on the strange, bizarre, and shocking, the What The Fest!? at the IFC Center returns March 20 to the 24th. The opening night film is Larry Fessenden’s Depraved, a modern day re-invention of Mary Shelley's Frankenstein. The closing night film is Kirill Sokolov’s Why Don’t You Just Die!, and this film of crime, corruption, greed, dysfunctional families, and unrequited love is preceded by stand up from Last Comic Standing’s Harrison Greenbaum. The Go Straight to Hell sidebar of the fest features the World Premiere Restoration of Ray Laurent’s 1970 documentary Satanis: The Devil's Mass, a look inside the infamous “Black House” in San Francisco, where the Church of Satan was established; a talk by author Grady Hendrix about the heavy metal “Satanic Panic” of the 80s, based on his book We Sold Our Souls and followed by a book signing, and the NY Premiere of Penny Lane’s Sundance hit documentary Hail Satan? with subject Lucien Greaves in-person. Along with the expected panels is a special discussion entitled FEMALE TROUBLE: FEARLESS WOMEN LEADING THE WAY IN HORROR, FANTASY, AND SUSPENSE, with speakers Meredith Alloway (Film Journalist, Independent Filmmaker), Roxanne Benjamin (Director of Body at Brighton Rock), Emma Tammi (Director of The Wind), and Jenn Wexler (Producer, Depraved). ReelAbilities Film Festival: New York is dedicated to promoting awareness and appreciation of the lives, stories and artistic expressions of people with different abilities. The 11th installment of the festival will be running April 2 to 9 at venues across NYC. Special events at the festival include a comedy night, workshops, panels, dance performances, puppet films, and more on top of the plethora of films. 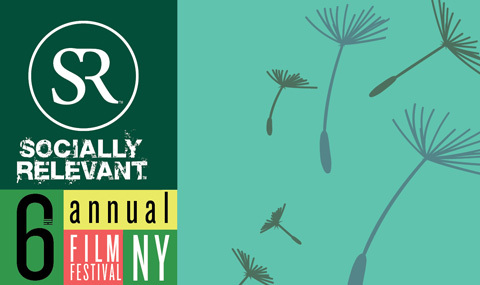 The 6th edition of SR Socially Relevant Film Festival New York is running at Cinema Village (22 E. 12th Street) and nearby venues from March 15 - 21. The SRFF 2019 program will showcase over 60 films which deal with current social topics such as immigration and refugees, female empowerment, homelessness, human exploitation, gender politics, disability, aging, the environment, our planet's health, human and animal extinction, and many other timely social issues. Making its North American premiere is A Thousand Pieces, directed by Véronique Mériadec in which 25 years after the assassination of her son Olivier in 1977, Nicole Parmentier (Clémentine Célarié) decides to meet with Eric Gaubert (Serge Riaboukine) who has just been released from prison after having served his time for these crimes. What results is an explosive encounter behind closed doors between two damaged and fragile protagonists destiny has forced together. The documentary A Dignified Death (directed by Jesse van Venrooij) looks at the controversial issue of legal euthanasia. In the Name of Your Daughter (directed by Giselle Portenier) addresses the plight of female genital mutilation (FGM) and child marriage in Tanzania. Along with features and documentaries there will be post-screening Q&A sessions with the filmmakers and guest experts, industry panels, workshops, and more.